MIFARE is a technology, which is used for contactless card system consisting of card and reader components. Mifare Card Products include Mifare Ultralight, Mifare Mini, Mifare 1k, Mifare 4k, Mifare Desfire, and Mifare plus cards. 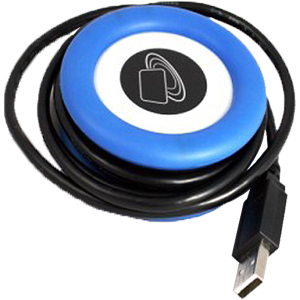 In addition to Mifare Cards, Mifare KeyFobs, Mifare Tags, Mifare labels, customized products including Pre-Printed to your Artwork are available to also meet your requirements. Mifare Readers include desktop, wall mounted, with USB，Serial or Wiegand output for commerical applications including Schools, Universities. Mifare programmer encodes cards. Prox'N'Roll RFID scanner is the counterpart of a barcode-scanner, in RFID environment. Featuring a plug and play interface, compatible with Windows, Linux, Android and Mac (7Byte Reader) OS, the Mifare Reader reads the unique Mifare number on Mifare 1k, 4k, Plus and Mini cards. CipherLab 1860 series handheld RFID reader gives you extended RFID reading and writing capabilities via Bluetooth pairing with user's existing mobile devices.